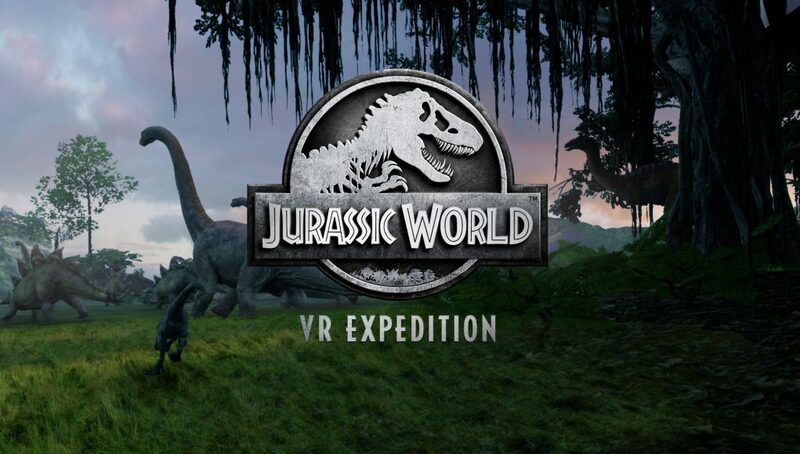 Universal and The Virtual Reality Company (VRC) today announced Jurassic World VR Expedition, an out-of-home VR rescue adventure that puts you in the dense, dino-filled jungles familiar to the film franchise, is debuting on June 14th at more than 100 Dave & Buster’s entertainment centers. The adventure supports up to four people at a time, and uses HTC Vive headsets, and what the companies call a “state-of-the-art VR motion simulator.” The game, which is said to last five minutes, takes you to the abandoned site of Jurassic World for an expedition focused on rescuing the dinosaurs of Isla Nublar. Jurassic World VR Expedition proceeds Universal’s upcoming franchise sequel, Jurassic World: Fallen Kingdom, which is coming to theaters June 22nd. 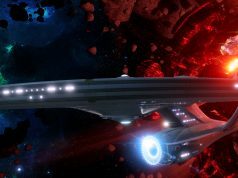 The VRC development team is made up of several Academy Award-winning and nominated animators, visual effects artists, and technicians. 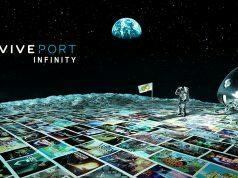 The game itself was written and directed by James Lima, a multi Emmy Award-nominated visual effects artist, and was executive produced by VRC co-founders Robert Stromberg, a two-time Academy Award winner, and entertainment executive Guy Primus. 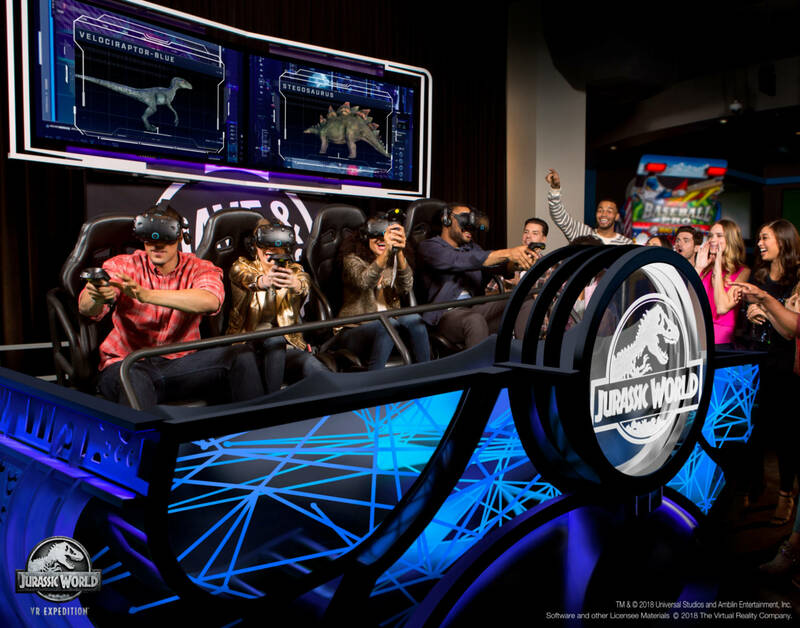 To try Jurassic World VR Expedition, you can find a Dave & Buster’s location in your area or through Vive’s Demo Locator. 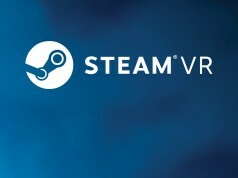 The game is first rolling out to Dave and Buster’s, but will also arrive “soon” to additional VR arcades and out-of-home gaming venues worldwide. Praise Jesus my Lord and Savior. That big guy in red is going to elbow the girl next to him if he swings right. The short 3D VR video, Blue, that I have on my Rift is actually pretty impressive. And that’s in a really low resolution. 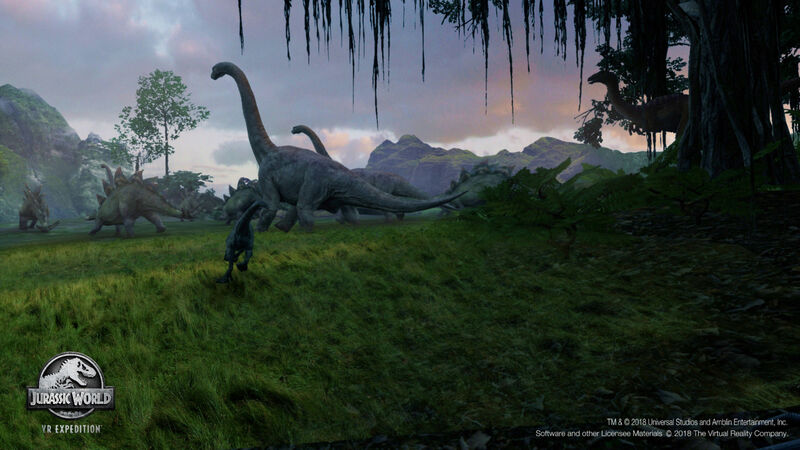 I can imagine seeing a VR Jurassic Park movie 5 or 10 years down the line though–and I think it could be utterly stunning.